Scape scape scape. It’s like a typo. 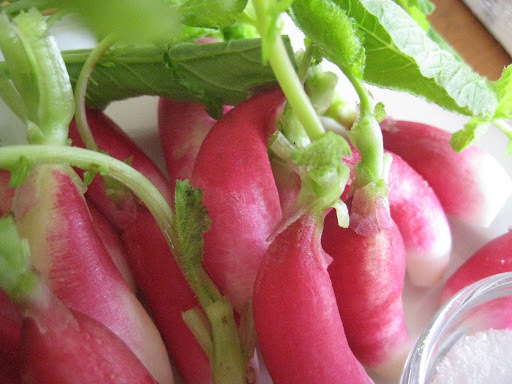 I keep typing “ramps,” but that’s….not what these are. 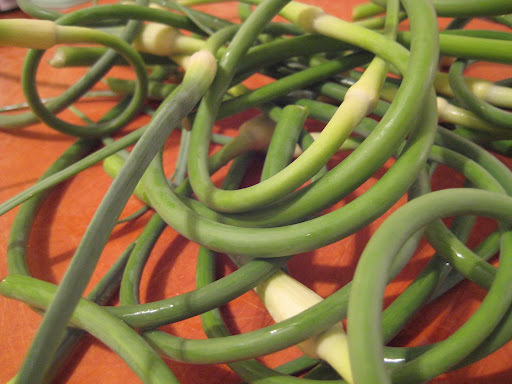 Scapes are the tops of young garlic plants. 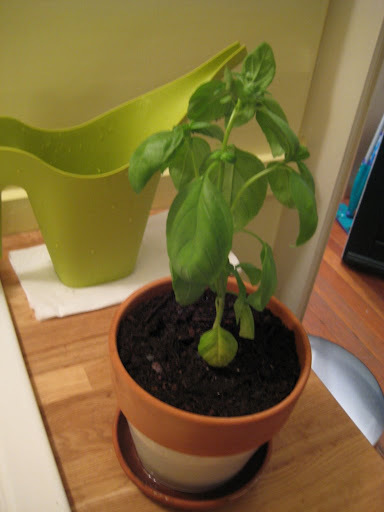 From what I’ve read, they are trimmed off to encourage the plant to put energy into the bulb, rather than the flower. 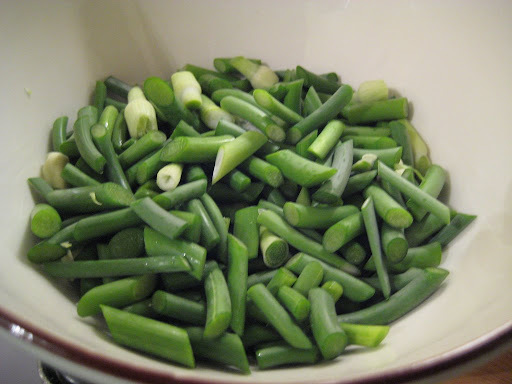 They have a mild flavor, slightly garlicky but more like a dense scallion. 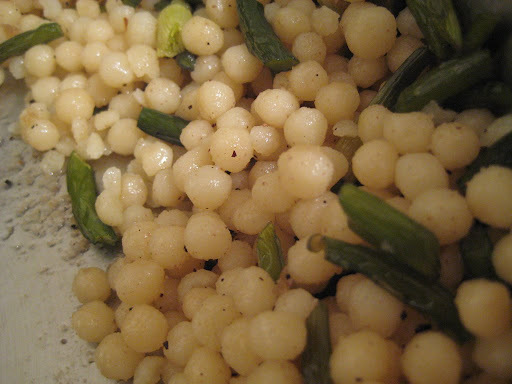 Meanwhile, I cooked the couscous, which was even bigger than pearl/Israeli couscous, and appeared to be hand rolled. 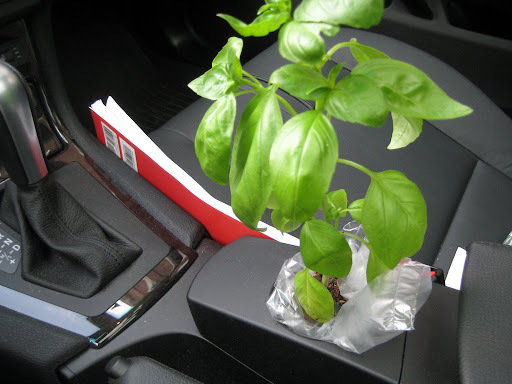 I bought it at Christina’s spice shop in Inman Square, in an unmarked plastic bag. 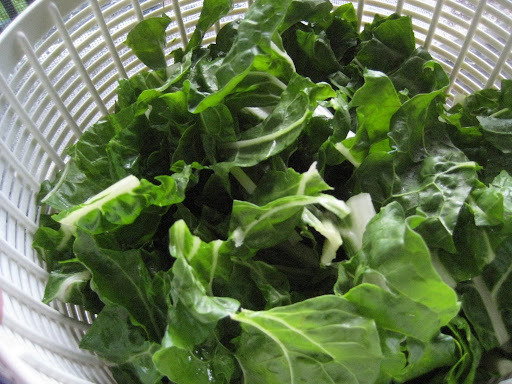 It had an interesting texture–slightly chewy, slightly grainy, in a good way. 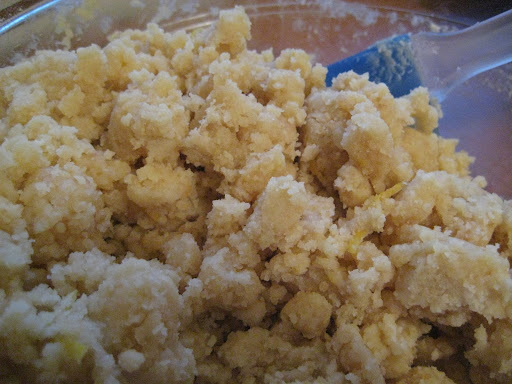 It almost felt like there was semolina in it, or something? 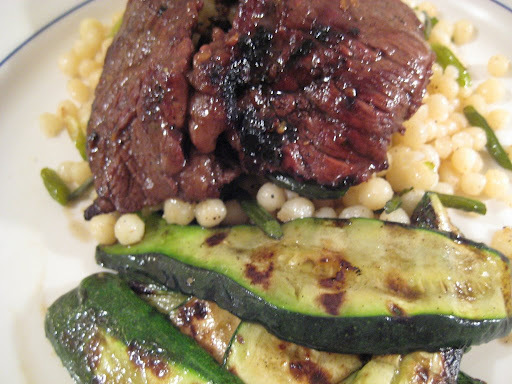 I had Tom slice up the baby zucchinis from the CSA into ribbons, and he grilled those (coated in olive oil, of course!) and the steak. I won’t buy that pre-seasoned steak again; the texture was great but the marinade was too sweet for me. Still, this dinner came together very fast and was quite delicious! And in real life it wasn’t blurry. Sigh. UGH. 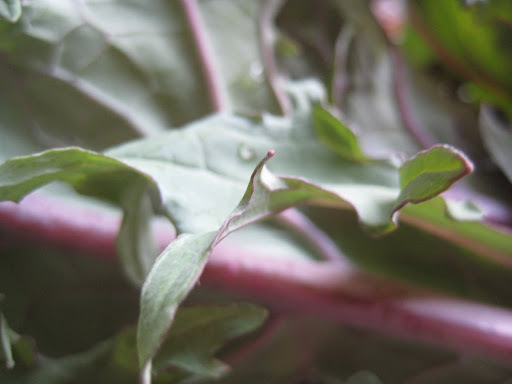 On an unrelated note I just noticed that all of my photos that were posted at Shutterfly are now showing up as tiny thumbnails in my blog archives. I went and looked and they changed their systems–looks like if I update the image source links I’m ok, but otherwise it only shows a thumbnail. Annooooying. Aaaand once again I’m a week late. 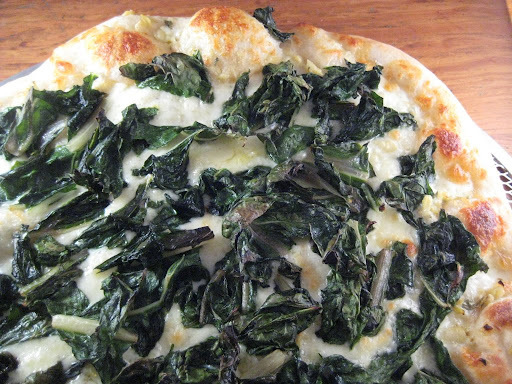 I baked that (on the highest heat below broil; somewhere north of 500 degrees) until the cheese started to bubble, then pulled it out and added the chard, and baked until it seemed done. Precise, no? All in all it probably took about 10 minutes longer than throwing a frozen pizza in the oven and it was *delicious. * I will likely be doing this a lot this summer, and experimenting with grilling them as well. Eee! Tiny tiny lettuces! Adorable. 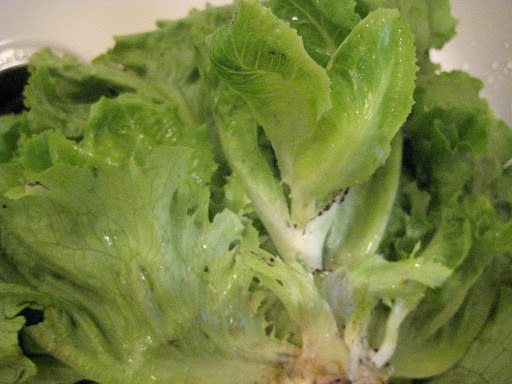 *Munch* We both commented on how tender and delicious the lettuce was, eaten within 24 hours of harvest! And not to be all philosophical, but there’s something appealing to me about washing mud off the lettuce because the farm was hit by the same thunderstorms that hit us here, too. Coming soon: Cooking scapes with Tom! Agh, I am terribly behind. I’m mere days away from picking up CSA week three, and I haven’t yet posted one and two! I’m hopping to it now. Ok, so. 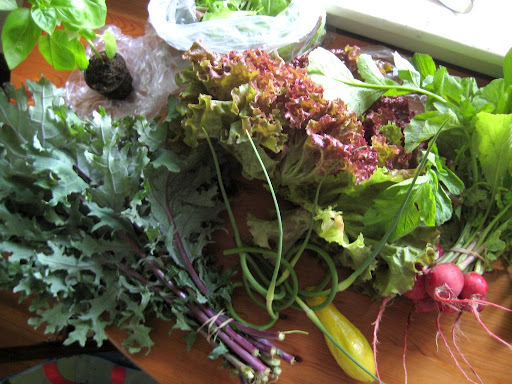 Last week I picked up my first CSA share from Stone Soup Farm. I have a half share, 5-8 pounds/week. The summer squash I forgot in the produce drawer, oops. 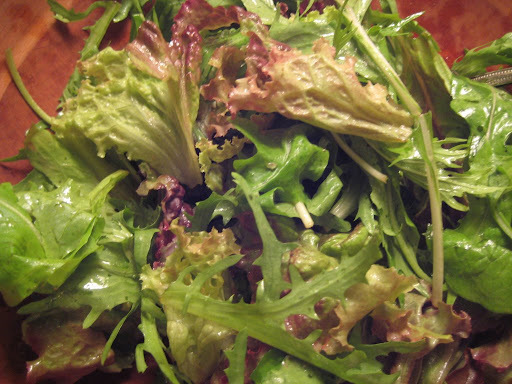 The lettuce made several delicious salads. I can’t say that it’s thriving. 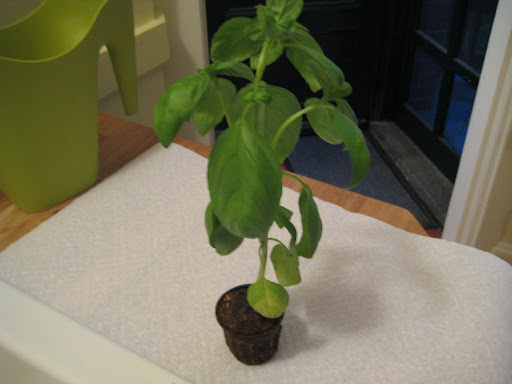 It still has that sad little droop at the top, even though it’s living outside and the soil is nice and damp. Germi, help me! Is it ok?? 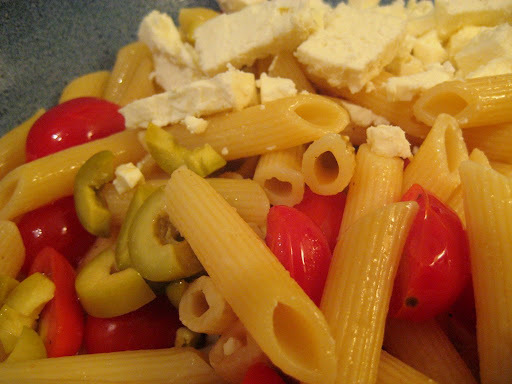 Last week on IM, Bridge (who is in London these days, and cooks all the time) mentioned the greek-style pasta salad she’d made, and how good it was. Then she mentioned it again. 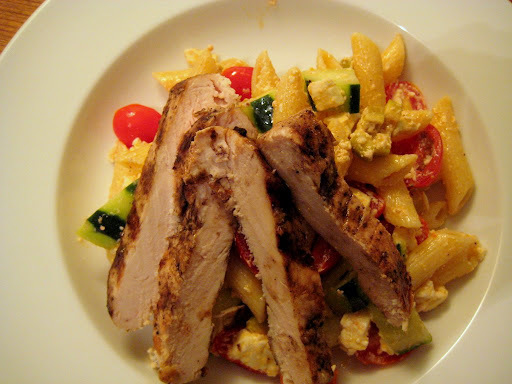 Then I remembered that I had olives and feta in the fridge, and a house guest to feed, so I picked up some cherry tomatoes, a cucumber and some chicken breasts. I had Ben grill the chicken while he was grilling burgers the night before (I marinated them in olive oil, garlic, salt and pepper, with some lemon juice towards the end (too early and it starts to cook the meat)), so on Tuesday night it was ready to go. 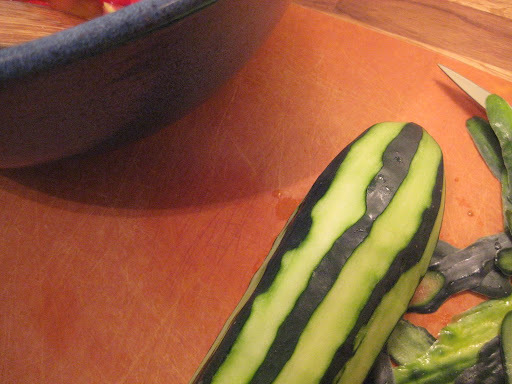 I peeled strips of skin off the cucumber and quartered it lengthwise, then use a spoon to scrape out the seeds before cutting it up. 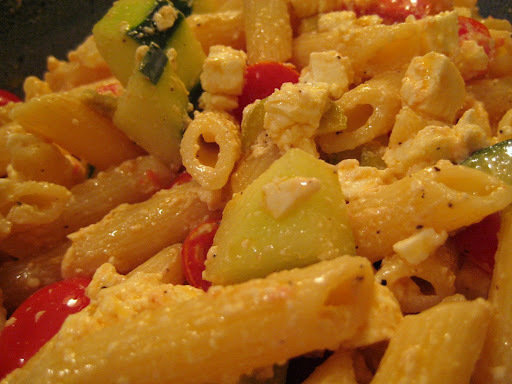 I cut up the tomatoes and put them with some olive oil and salt to start getting juicy while the pasta cooked, then added in the hot pasta, olives, cucumber and feta. After combining everything I added lemon juice, salt and pepper until it tasted interesting enough. 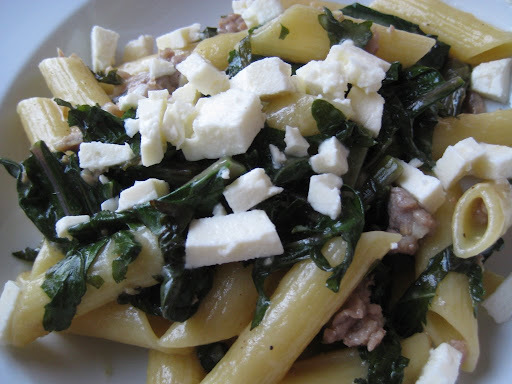 The feta softened and coated the pasta, which wasn’t pretty but tasted great. 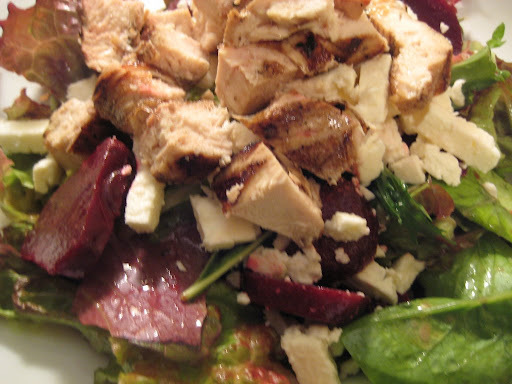 Sliced up the cold chicken, laid it on top, and voila! Dinner in the time it took to cook the pasta. 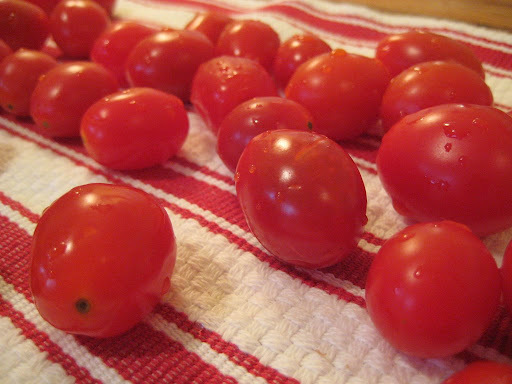 Definitely a keeper–this was more interesting than the Lydia Salad (with just mozzarella and tomatoes and basil) and would be great for a picnic. P.S. I am headed West again this weekend, to SF. 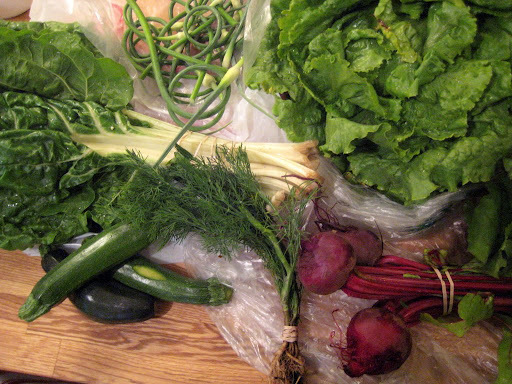 I want to post about my first CSA box but I might not get to it. If not, have a great weekend! 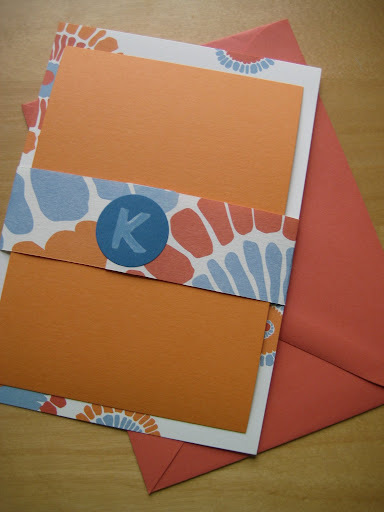 Sorry it’s been quiet around here: It’s busy times in Kate-land. 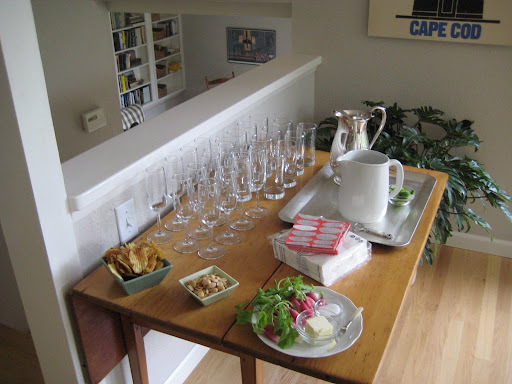 This weekend I went home to Oregon for my 10-year high school reunion (!!) 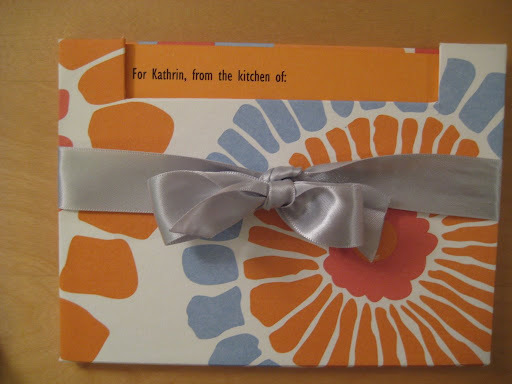 and to throw a wedding shower for my oldest friend, Kathrin. My mom was incredibly generous about hosting at their house and preparing all the food, and she spent a lot of time scrubbing everything up all around the house and yard so that everything was perfect. Last week I went back to the store to get more of the paper so I could decorate with it for the shower. 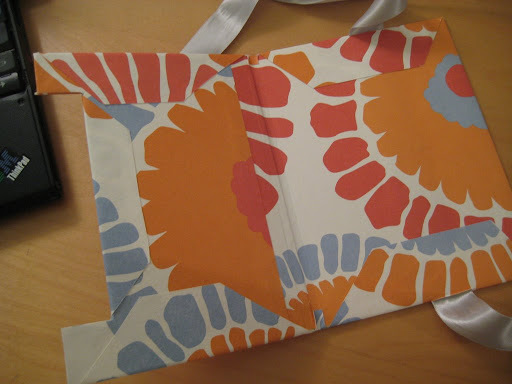 I also made a holder for the recipe cards, which all the ladies brought back with favorite summer recipes on them. I lucked out when I went running errands on Friday to get ready for the shower. I didn’t think I’d find tulips this late in the year, but Trader Joe’s had them, in the perfect colors. 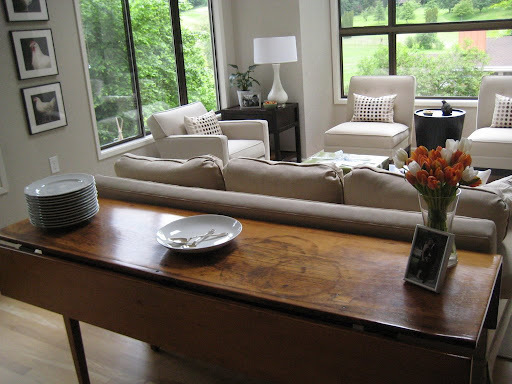 We rented 48″ square tables and put them in the dining room, filling out my mom’s antique chairs with four rental ones. 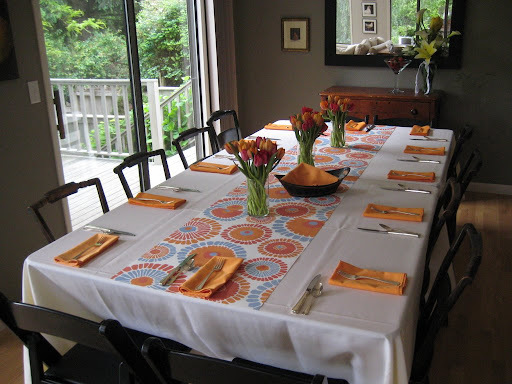 We rented the tablecloths and napkins, and I used the paper to make a table runner. Pimm’s is gin-based (which…I love gin, so that makes me happy) but honestly it doesn’t taste very ginny, and it’s worth a try even if you’re more of a vodka drinker. The drink is very mild on the alcohol front, and extremely refreshing for summer. Obviously I had to leave the bottle of Pimm’s in Oregon, so now I need to track down my own for Porch-top sipping. Anyway, on to the food! 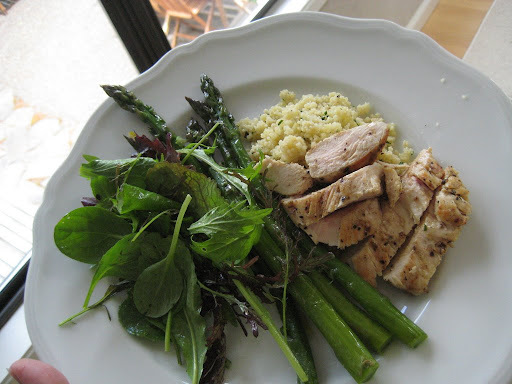 My mom made grilled chicken (marinated in garlic and olive oil, with a bit of lemon at the end), asparagus with preserved lemon and a fantastic couscous from the Bouchon cookbook. I will try making that myself one of these days and will include the recipe then! It had more preserved lemon and mint in it and was amazing. Also a big salad. 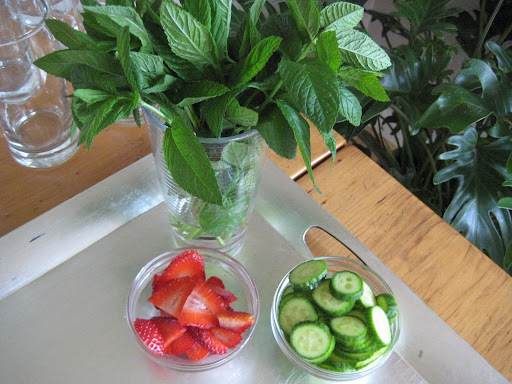 All the vegetables (and the strawberries) came from the farmer’s market that morning, and the mint was from a friend’s back yard–spring comes earlier in Oregon, even in a rainy, cool year like this one. 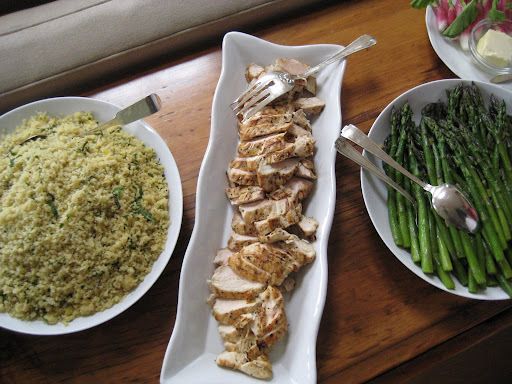 Lunch was perfect–light and summery. Everyone seemed to have a lovely time! 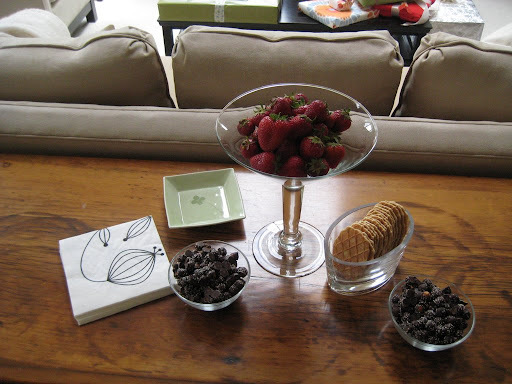 And we finished with a goblet of strawberries, butter cookies and chocolate-covered pretzels while Kathrin opened presents. Oh, and more Prosecco. Lots of Prosecco. Ben’s cousin, his wife and their new baby came for a visit a couple weekends ago, and since the baby isn’t quite up to restaurant meals we stayed in on Saturday night. 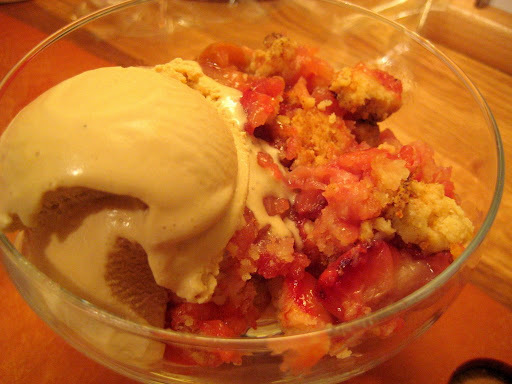 We had a simple dinner and topped it off with a strawberry rhubarb crumble I found on Smitten Kitchen. 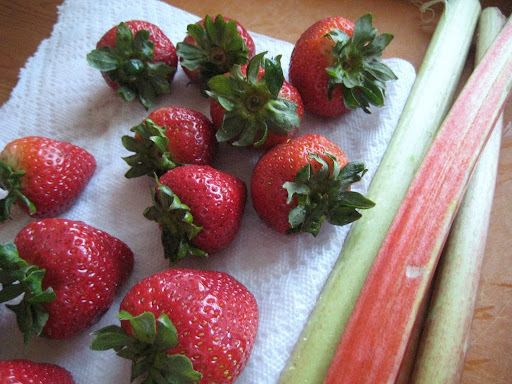 The good news: Strawberry and Rhubarb! It’s nearly summer! 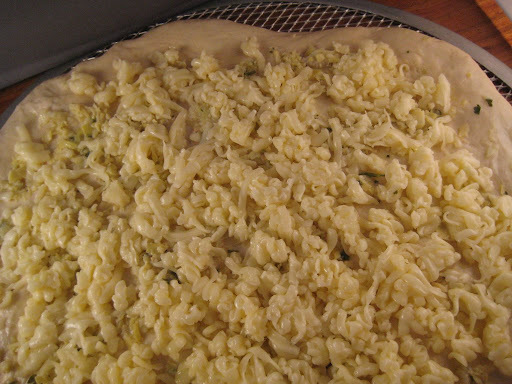 The recipe is easy and I loved the flavor of the topping. The lemon zest gave a lovely citrus scent, and the texture (it contains raw sugar and the large amount of melted butter) is fantastic. Two things about the filling, though. 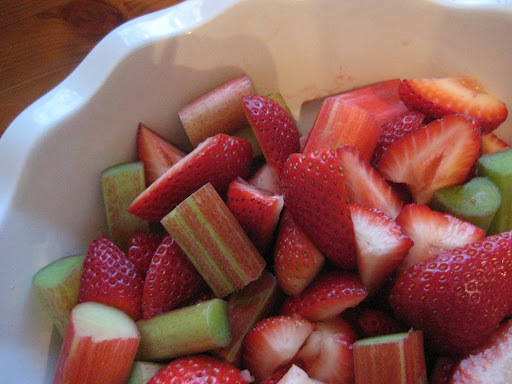 I cut my rhubarb too big, so it took forever to cook and it didn’t combine with the strawberries quite enough. Still good, though. The bigger problem was the gummi-factor. The recipe calls for 1/2 cup of flour and I think that must have been too much for the fruit I was using; I will investigate other recipes to see if that could be it. 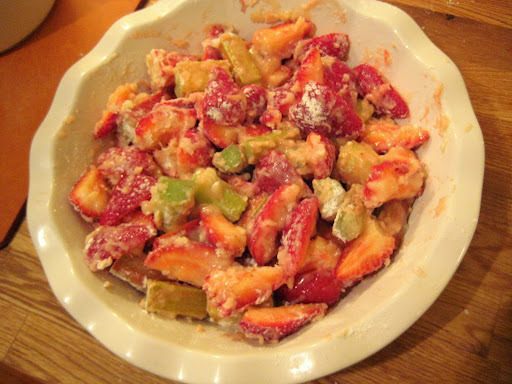 I felt like there was a gummy biscuit batter surrounding the fruit, and sometimes there wasn’t much fruit to be found in it. All in all I’d give it a B, all on account of the filling. I will have to try again; what a sacrifice! That ice cream, by the way, is Ginger-Molasses from Christina’s in Inman Square. Mmmmm. 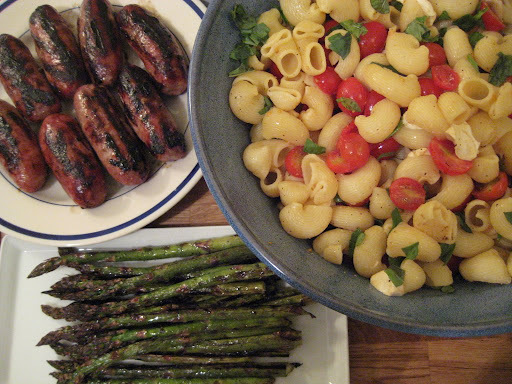 Then grilled sausages and asparagus, and a big bowl of Lydia’s pasta salad. I have always read cookbooks, starting when I was in middle school or so. In my parents’ house there is a small built-in bookcase in the dining room where my mom always kept her cookbooks, so the easiest thing to grab to read over a snack or solo breakfast or lunch was a favorite tome. My usual pick was Barbara Tropp’s China Moon Cookbook (packed with hilarious stories in the sidebars, as well as fun recipes intros), but I also turned to Italy in Small Bites for mouth-watering descriptions of regional snacks throughout Italy, and to the various works of Maida Heatter for the most precise (and fascinatingly old-fashioned) recipes I’d ever seen. Heatter, a master of dessert recipes, introduced me to the science of baking–one I’ve never really explored. I need to collect my own copies of her books and give dessert a try. 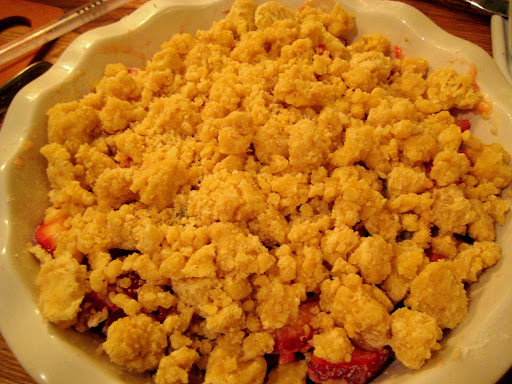 My childhood was studded with Heatter recipes: My favorite was September Seventh Cake, which had a whipped filling, but my mom made the ultra-simple and (to adults–it’s spiked with rum) delicious Craig Claiborne’s Rum Chocolate Dessert for tons of dinner parties before she discovered crostatas. The brownie recipe (these are all from Maida Heatter’s Book of Great Chocolate Desserts , I think) is also killer. 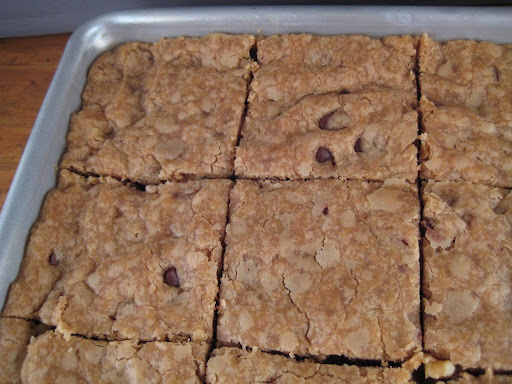 But my very favorite cookies of all time are Dolly’s Crisp Toffee Bars. 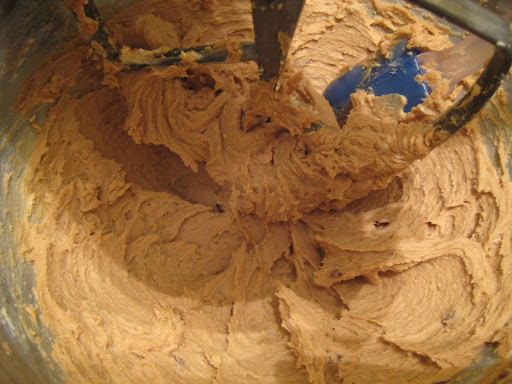 When properly made, the cookies, which contain no egg and LOTS of butter, are very thin and crispy, and have a shelf life of about a month. They’re sturdy and great for care packages, and perfectly toe the line between candy and cookie. I, of course, didn’t make them quite right, but we’ll get to that. 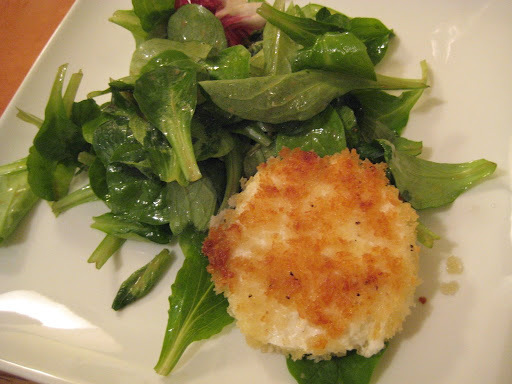 I found this recipe online–Mom, do you mind taking a quick look at the cookbook to make sure it’s right? Adjust rack to the center of the oven and preheat oven to 350 degrees. 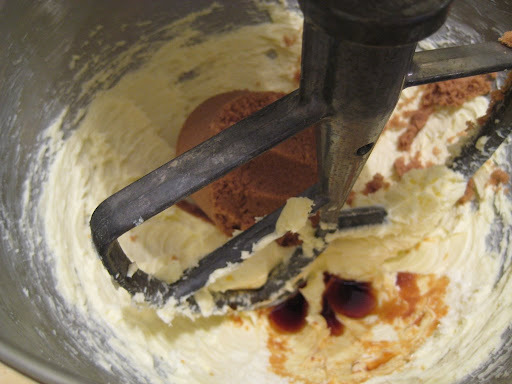 In a large bowl, cream the butter with a mixer. 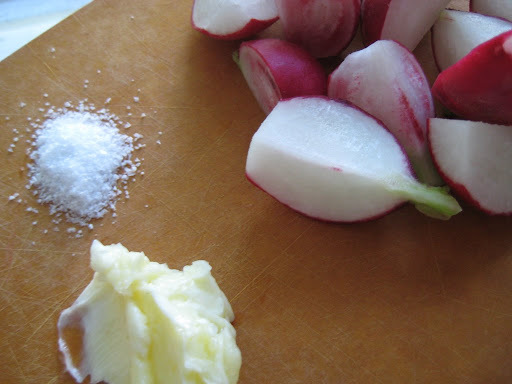 Add the salt, vanilla, and sugar and beat well. 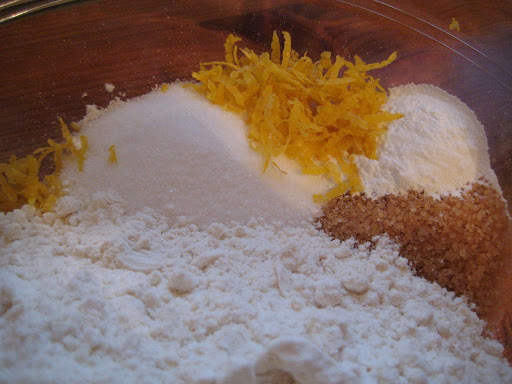 On low speed, gradually add the flour, scraping the bowl with a rubber spatula and beating until the mixture holds together. 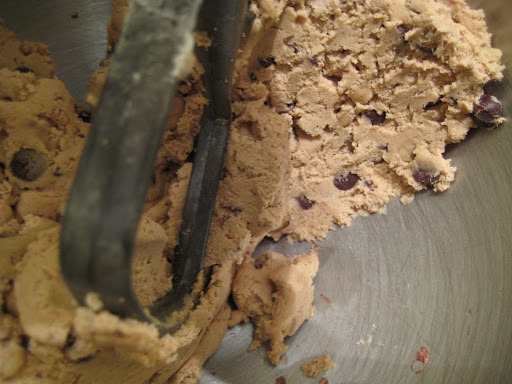 Add the nuts and chocolate chips and mix well. 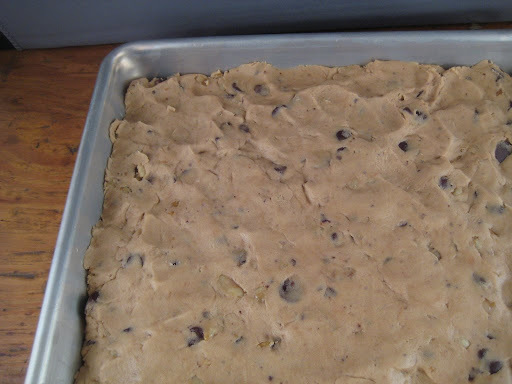 With floured fingertips, press the dough firmly to make an even layer- it will be thin. Let cool in the pan for only a minute or so. 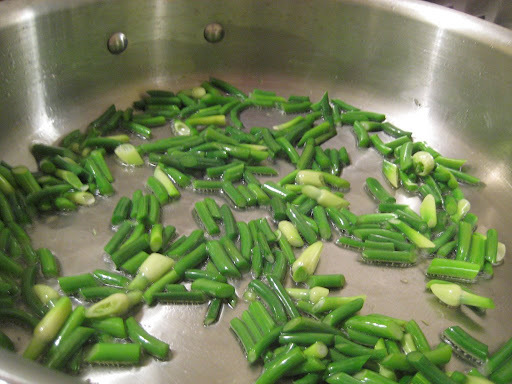 With a small sharp knife, cut into bars; let stand in the pan until cool. 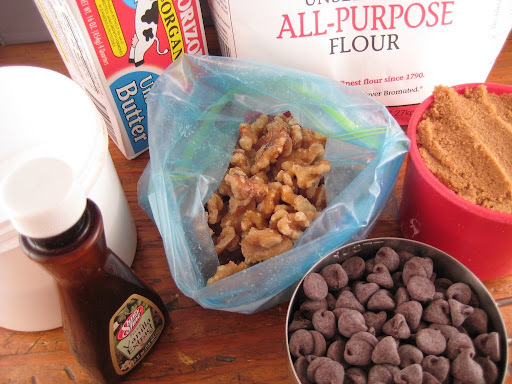 Transfer the cookies to paper towels to dry the bottoms. 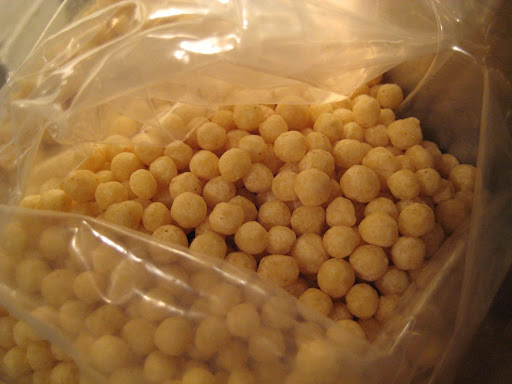 Wrap individually in wax paper or store in an airtight container. 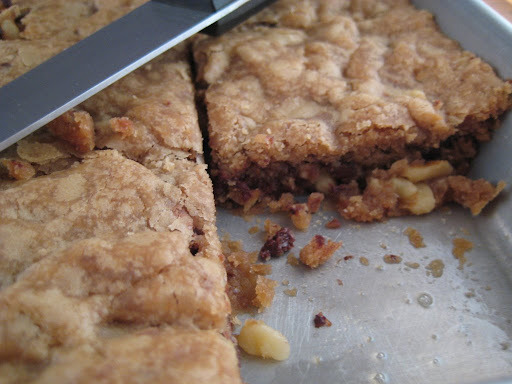 Ok, so mine were just plain bar cookies–they never crisped up and got that toffee flavor or texture. I should have left them in longer. But next time I will make them properly thin and thus super crispy. Maybe I will do that this weekend. Or maybe not, since my 10 year high school reunion is a week from tomorrow and I suppose eating a sheet of cookies isn’t a great preparation method?